Many computer problems are caused by corrupted system files. If your Windows 10 installation is corrupted, you’ll encounter instability issues and all sorts of other problems. Fortunately, there are few ways to fix corrupted system files on Windows 10, and today we’re going to show you how to do it. How to fix corrupted system files on Windows 10? The repair process will now start. Don’t close Command Prompt or interrupt the repair process. The repair process can take a while, so wait patiently while it completes. 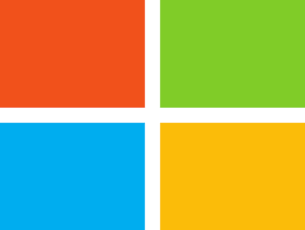 After the repair process is finished, you’ll see Windows Resource Protection did not find any integrity violations message if your system files aren’t corrupted. However, SFC tool can’t always fix corrupted files, so keep that in mind. Enter findstr /c:”[SR]” %windir%LogsCBSCBS.log >”%userprofile%Desktopsfclogs.txt” command and press Enter. By doing this, you’ll create a sfclogs.txt file on your Desktop. Open the sfclogs.txt and check the results of SFC scan. Keep in mind that this log file contains only information related to SFC scan that is performed in Windows. Enter DISM /Online /Cleanup-Image /RestoreHealth and press Enter. Repair process will now start. The repair process can take 10 minutes or more, so be patient and don’t interrupt it. 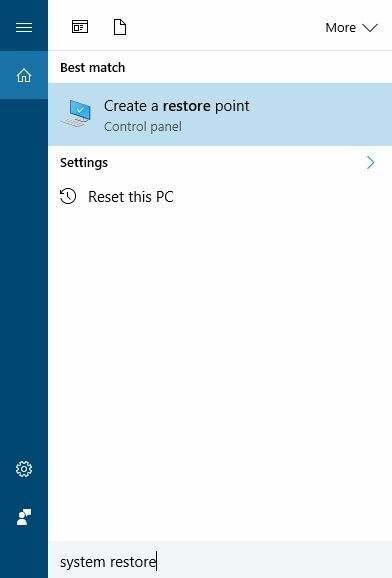 After DISM tool repairs your files, restart your PC. When your PC restarts, you need to check if the problem is resolved. If the issue still persists, run SFC scan again. But if you’re still having issues on your PC or you simply want to avoid them for the future, we recommend you to download this tool (100% safe and tested by us) to fix various PC problems, such ascorrupted files, malware and hardware failure. You’ll see three options available. Select Troubleshoot. Navigate to Advanced options > Startup Settings. Click the Restart button. When your PC restarts, you’ll see a list of options. Select any version of Safe Mode by pressing the appropriate F key. When Safe Mode starts, repeat the steps from Solution 1 to perform SFC scan. Restart your PC by following the first three steps from the previous solution. When list of options appears, select Troubleshoot. Choose Advanced options > Command Prompt. When your PC restarts, you might be asked to enter your username and password, so be sure to do that. Now you need to find the letter of your Windows 10 drive. To do that, enter wmic logicaldisk get deviceid, volumename, description command and press Enter to run it. Pay attention to Volume Name. In most cases Windows Volume Name will be assigned to D letter. This is perfectly normal if you start Command Prompt before starting Windows, so no need to worry about it. In addition to checking the Windows drive, you should also check System Reserved drive. In most cases, it should be C.
Now enter sfc /scannow /offbootdir=C: /offwindir=D:Windows command and press Enter. Be sure to use the letters that you got from the previous step. In most cases, you should use C and D like we did in our example, but if for some reason you get different letters you should use them instead. The scanning process will now start. Wait while your system files are scanned. After the scan is completed, close Command Prompt and start Windows 10 normally. Sometimes in order to fix the problem with corrupted system files you need to replace them manually. This is an advanced process, and if you decide to perform it, we advise you to be extra cautious. First, you need to open your SFC log and check which corrupted files can’t be repaired. We already explained how to view SFC log file in Solution 1, so be sure to check it out for instructions. Enter takeown /f C:corrupted-file-location-and-file-name and press Enter. Remember to replace C:corrupted-file-location-and-file-name with the actual location of the corrupted file. You need to include both the file name and extension and not just the location of the directory. By running takeown command you’ll have ownership over the corrupted file. Now enter icacls C:corrupted-file-location-and-file-name /Grant Administrators:F command to gain full administrator privileges over the file. Once again, replace C:corrupted-file-location-and-file-name with the actual location of the file. Now you need to replace the problematic file with the healthy file that you copied from a different PC. Enter copy C:location-of-healthy-file C:corrupted-file-location-and-file-name and press Enter. Enter Yes if you’re asked if you want to overwrite the file. Repeat these steps for all corrupted files. After all corrupted files are replaced, run SFC /verifyonly command to verify if the problem with corrupted files is fixed. This is one of more advanced solutions, and if it seems a bit complicated, be sure to read it carefully couple of times. Press Windows Key + S and enter system restore. 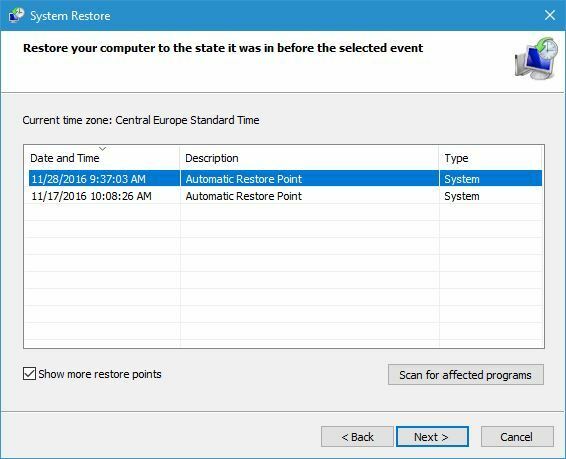 Choose Create a restore point option. Check Show more restore points. Select the available restore point and click Next. Follow the instructions to perform the restore. After your PC is restored, system files should be restored to the previous healthy version. Restart your PC like we showed you in Solution 3. Now you have two options available, Keep my files and Remove everything. 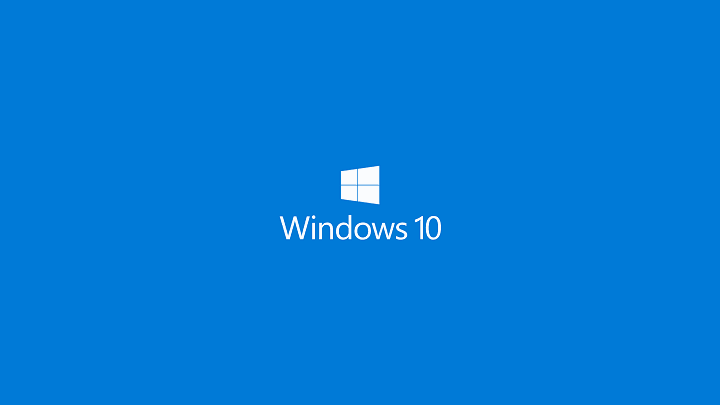 The former will reinstall Windows 10, but it will keep your personal files and settings. The latter will remove both personal files and settings. Keep in mind that third-party applications and downloaded files will be removed by performing the reset. If asked whether you want to clean the drive, choose the Just remove my files option. Choose your username and enter its password. If you’re asked to insert Windows 10 installation media, be sure to do so. Select your version of Windows and click the Reset button to start. 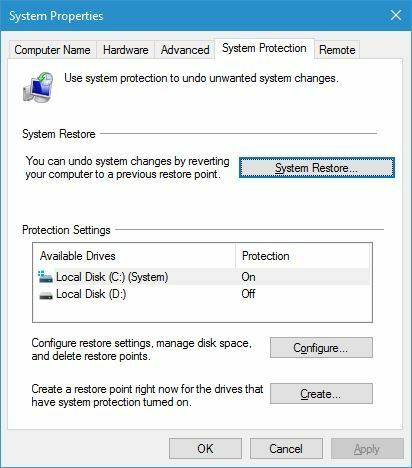 If the reset process didn’t fix the problem, repeat it again, but choose Remove everything > Only the drive where Windows is installed > Just remove my files. If that doesn’t fix the problem, perform a clean install of Windows 10. Fixing corrupted system files is sometimes difficult, and if you can’t repair the files with SFC tool, you’ll need to use DISM tool instead. If issues still persist, you’ll have to reset your PC or perform a clean install.